Convert Google Drive Files Online with DriveConverter. 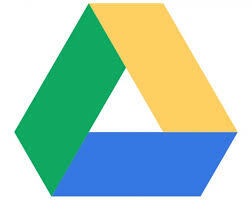 Google Drive is a famous Cloud storage, most of us use to store our files in Google Drive. There are many famous sites that work with Google Drive to make it more useful. 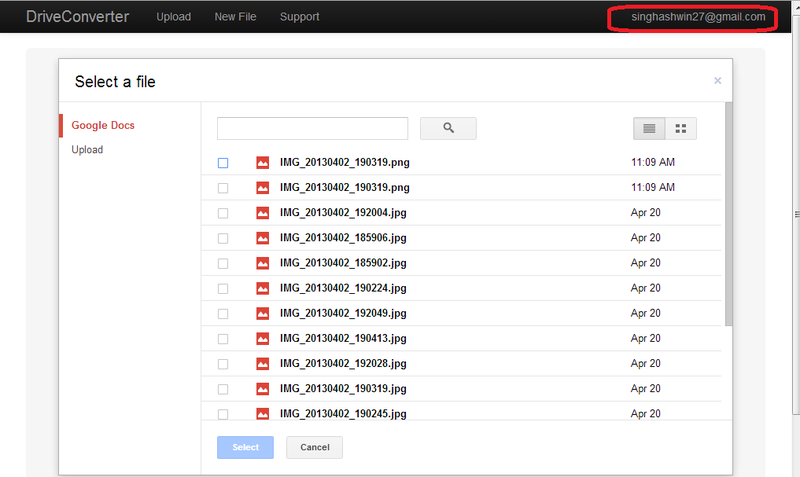 If you want to convert your Google Drive files, so one method is downloading the files after that converting the file. There is a new method converting files online. www.driveconverter.com is a site where you can convert your Google Drive files online. You just need "allow access" to your account. You can also access this site from a Chrome app. Just add this Chrome Extension and visit the site. DriveConverter supports these types of file conversion. See Also:- Invite Friends to Upload in Your Dropbox,Google Drive Storage with EntourageBox. 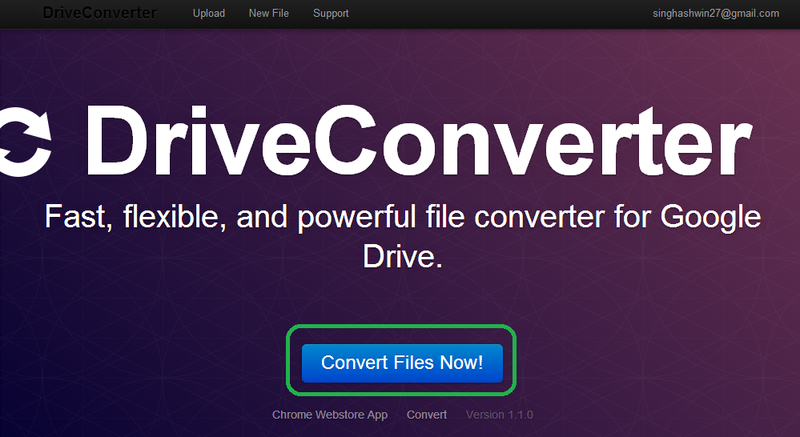 Go to http://www.driveconverter.com/ and choose "Convert Files Now!". Now "allow access" to your Google account. Now, on the next step Choose the file which you want to convert. Now choose the Format in which format you want to convert your file. You can directly download the file or save in you Google Drive. 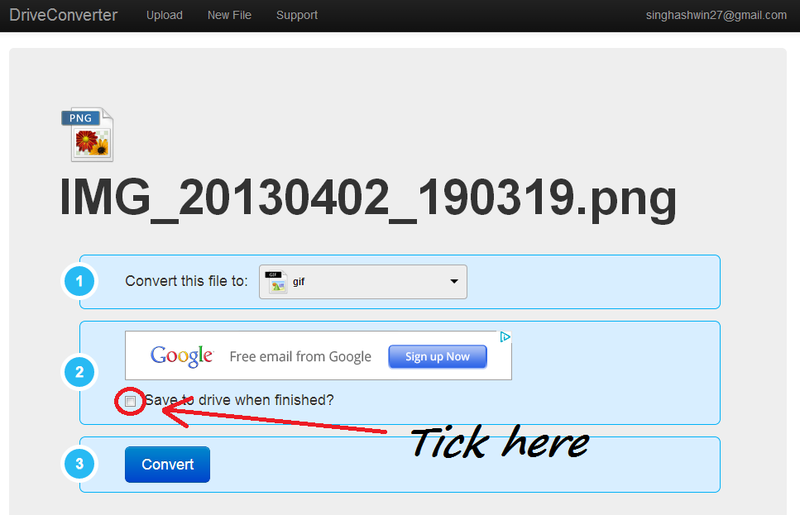 Now, click on convert button after conversion Download the file or close the tab. The converted file will be saved in your Google Drive account.